Are you looking for Dirus, Girus, Lirus, Mirus, Nirus, Pirus, Sirus, Tirus, or Wirus? 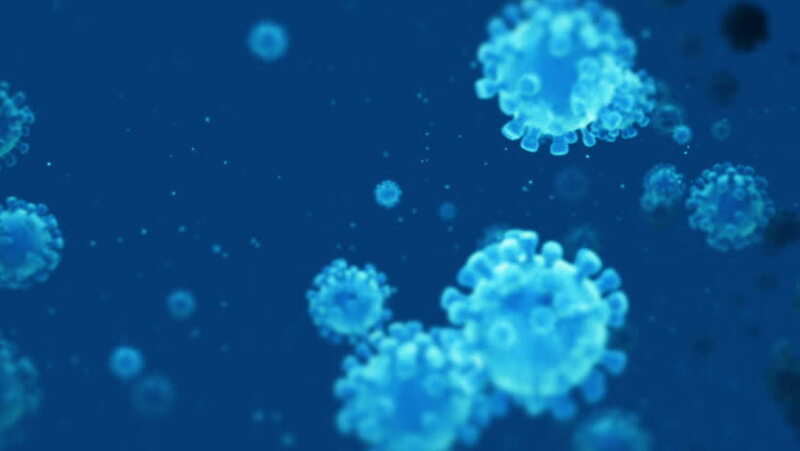 Video footage: Virus cells High definition 3d animation. Seamless loop. What does virus mean as a name of something? "Virus" is a 1999 science fiction-horror film directed by visual effects artist John Bruno. Starring Jamie Lee Curtis, William Baldwin and Donald Sutherland, the film is based on a Dark Horse comic book of the same name by Chuck Pfarrer. Marshall Bell as J.W. Woods Jr.
"Virus" a.k.a. "Outbreak" is a 1995 American medical disaster film directed by Wolfgang Petersen and based on Richard Preston&apos;s non-fiction book The Hot Zone. The film stars Dustin Hoffman, Rene Russo, and Morgan Freeman and co-stars Cuba Gooding, Jr., Kevin Spacey, Donald Sutherland, and Patrick Dempsey. NAACP Image Award for Outstanding Supporting Actor in a Motion Picture nomination for Cuba Gooding, Jr.
"Virus" a.k.a. "Carriers" is a 2009 American post-apocalyptic horror film written and directed by Àlex and David Pastor. It stars Lou Taylor Pucci, Chris Pine, Piper Perabo and Emily VanCamp as four people fleeing a viral pandemic. "Virus" — literally "Day of Resurrection" — is a 1980 post-apocalyptic science fiction movie directed by Kinji Fukasaku and based on a 1964 novel written by Sakyo Komatsu. It starred Masao Kusakari, George Kennedy, Robert Vaughn, Chuck Connors, Olivia Hussey, Edward James Olmos, Ken Ogata, Glenn Ford and Sonny Chiba. The film is notable for being the most expensive Japanese film ever made at the time. "Virus" is a 1995 television movie starring Nicollette Sheridan, William Devane, Stephen Caffrey, Dakin Matthews, Kurt Fuller, Barry Corbin and William Atherton. It was directed by Armand Mastroianni and written by Robin Cook and Roger Young, based on Cook&apos;s novel Outbreak. The film is also known as Formula for Death. "Virus" is a 2007 Malayalam-language Indian feature film directed by Shankar, starring Abhinay, Sajitha Beti and Shankar himself. The film was critically acclaimed and had a premiere held at Kalabhavan theatre, Thiruvananthapuram. "Virus" a.k.a. "Hell of the Living Dead": Virus: Hell of the Living Dead is a 1980 horror film, specifically a zombie movie, directed by Bruno Mattei. The film is also known as Zombie Creeping Flesh and Night of the Zombies. "Virus" is a short film, written and directed by Robert Proch. "Virus" is a Dark Horse Comics comic book, written by Chuck Pfarrer, drawn by Canadian artist Howard Cobb and first published in 1992. The story is about an alien life form which takes over a Chinese research vessel and reconfigures it—using both the damaged electronics and the dead bodies of the crew, it propagates itself by making various "creatures" created out of both organic and inorganic parts. When a salvage ship shows up they have to deal with the life form or be taken over as well. "Virus", literally Day of Resurrection is a 1964 post-apocalyptic science fiction novel written by Sakyo Komatsu. The film was adopted into a movie of the same name in 1980. "Virus" a.k.a. "Zarch" is a computer game written by David Braben in three months in 1987, for the release of the Acorn Archimedes computer. Zarch started off as a demo called Lander which was bundled with almost all releases of the Acorn Archimedes. "Virus" is a single from Iron Maiden, released in 1996. It is the first single since 1980&apos;s "Women in Uniform" that does not appear on any official Iron Maiden studio album. It was, however, featured as a brand new track on the band&apos;s first ever career retrospective — 1996&apos;s double-disc Best of the Beast. It is the only Iron Maiden song to be credited to both of the band&apos;s guitarists. It has yet to be performed in Iron Maiden concerts featuring Bruce Dickinson on vocals. "Virus" is the tenth studio album that was released on September 19, 2005 by death metal band Hypocrisy. This is the first Hypocrisy album recorded with their new drummer, Horgh, from the black metal band Immortal and second guitarist, Andreas Holma. A video was made for the song "Scrutinized". "Virus" is a song by Icelandic artist Björk released as the third single from the album Biophilia. Each song in the album features a theme related to nature. In "Virus", Björk explores "fatal relationships" such as the one between a virus and a cell, as Björk explained in an interview: "It&apos;s a kind of a love story between a virus and a cell. And of course the virus loves the cell so much that it destroys it. "Virus" is the fourth full-length album by the French power metal band Heavenly. The advanced Japanese release occurred on September 21, 2006, by Avalon Records. "Virus" is a KMFDM song from their fifth album, Naïve. In 2008, KMFDM Records re-released this as a 7" vinyl single, limited to 250 copies. "Virus" is Slank&apos;s tenth studio album. It was released in 2001. "Virus" is a song written by Bob Arnz and Gerd Zimmermann and recorded by German singer LaFee. It was released as the first single from LaFee&apos;s debut album LaFee. The single reached fourteen in both the German and Austrian Singles Charts when released in March 2006. An English version of the song, entitled "Scabies", later appeared on LaFee&apos;s third studio album Shut Up. "Virus" is a 2011 studio album by Dado Polumenta. "Virus" is a musical album of Lab 4. "Virus" a.k.a. "The Virus" is the fifth solo studio album by rapper Brotha Lynch Hung, released through Black Market Records on November 13, 2001. It was Lynch&apos;s final studio album released through Black Market Records, although there would be several subsequent compilations released on the label. Like EBK4, this album was also released without the consent of Lynch due to conflicts with Black Market. "Virus" is the 1996 single by Iron Maiden. "Virus" is a musical album of Tagada Jones. 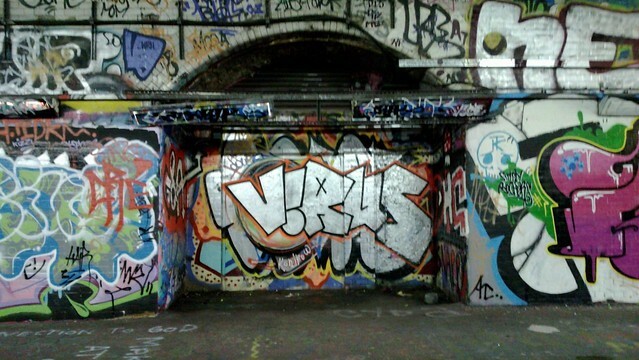 "Virus" is a musical album of Think About Mutation. "Virus" is a musical single of KMFDM. "Virus" is a musical single of Front Line Assembly. "Virus" is the second full-length studio album by Christian rock band Willet (their first, Escape, was released under the band name Clearview). It was independently released on 17 April 2008 to coincide with the band&apos;s Virus Tour in Africa. "Virus" is a musical album of Joel McNeely. "Virus" is a Latin Grammy nominated album. "Virus" is a musical album of Big Boy. Virus: Ricardo Amezquita Carreño is a Mexican Luchador, or professional wrestler best known under the ring name, Virus. Amezquita originally worked in Consejo Mundial de Lucha Libre&apos;s Minis division and held the CMLL World Mini-Estrella Championship under the name Damiancito El Guerrero, but was later moved into the regular division and given the name "Virus". Virus a.k.a. Ngo Thanh Van: Veronica Ngô Thanh Vân is a Vietnamese actress, singer and model. She is also known as Veronica Ngo or her initials NTV. Virus is a singer/songwriter, guitarist, producer, most recognized for playing lead guitar for the American industrial metal/rock band Dope. He is also known for his work with metal band Device. Virus a.k.a. Paweł Jaroszewicz, is a Polish heavy metal drummer. Jaroszewicz has played with such bands as Interior, Rootwater, Sinful, Vader, Thy Disease, Crionics, Deivos, Nerve, Obscure Sphinx, Christ Agony, No Emotions, Hell-Born, Lost Soul, FS Projekt, and Decapitated. There are other people with in their name, like NTV Virus, Viro the Virus, Danny Boy Virus and Virus Syndicate. Virus is a Russian band composed of Yuri, Andrey and Olga. It was popular in 2001. The project produced techno-based, Russian pop music, similar to Ruki Vverh! at the time. After several more less popular tunes they disappeared in the never-ending sea of techno-based Russian pop music. albums: "Best", "Дай мне", "Мой герой", "Вирус счастья", "Позови меня", "Ты меня не ищи", "Чтобы солнце грело", "Братишка", "Весёлые девчонки", "Live of The Best", "THE BEST DJ REMIX 2009", "MEGAMIX"
Virus is an Argentine new wave music band, led by Federico Moura until his death on December 21, 1988, from AIDS-related complications. 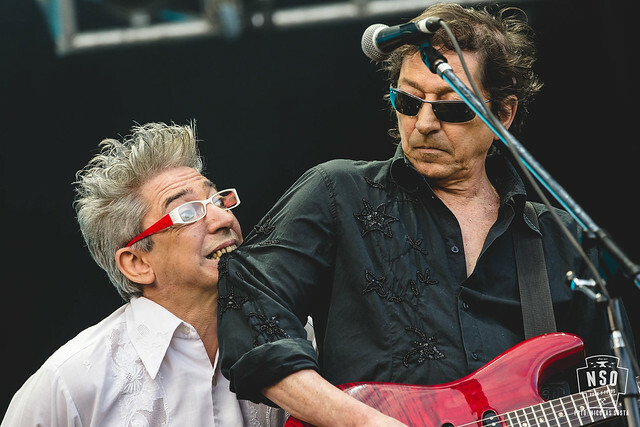 His brother Marcelo then became lead singer, until the band gave its final performance on September 29, 1990, in a support slot to David Bowie. 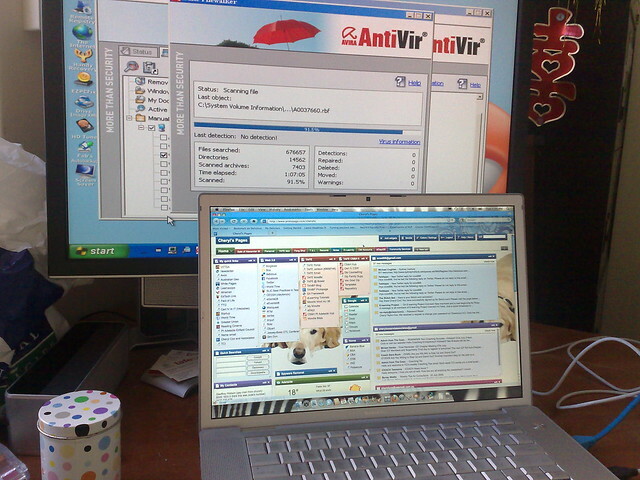 Virus reunited in 1994 and has had some sporadic activity, without recovering its previous popularity. Their latest album, Caja Negra features live versions of their classics, together with 5 new studio tracks, with invited artists influenced by the band: Ale Sergi, Adrián Dárgelos, Pity Álvarez and Ciro Pertusi. albums: "Agujero Interior", "Grandes Éxitos", "Nueve", "Obras cumbres", "Recrudece", "Relax", "Superficies de Placer", "Tierra del Fuego", "Virus Vivo 2", "Virus vivo", "Wadu-Wadu", "Locura", "Caja negra"
Virus is a Norwegian avant-garde metal band signed to Jester Records. 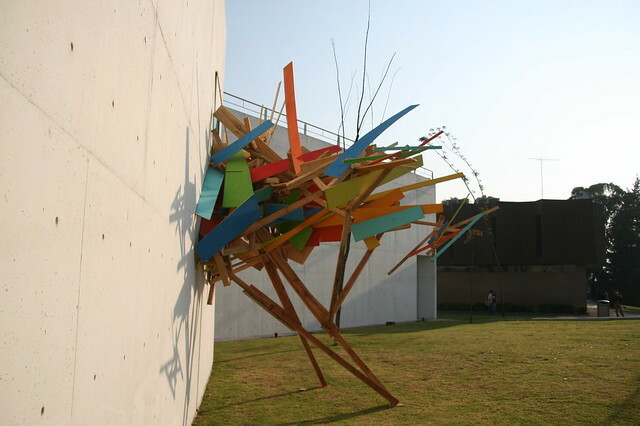 It was formed in 2000 by Carl-Michael Eide. The band is considered by Czral as a continuation of his previous band Ved Buens Ende because of similar musical elements and an avant garde form of unusual experimentation, although the band has its own characteristic sound. albums: "Carheart", "The Black Flux", "Oblivion Clock", "The Agent That Shapes the Desert"
Virus, originally formed in Brighton, are now based in London, United Kingdom. Stated on several occasions as pioneers of UK thrash metal, and were quoted as "the badboys..." of their genre due to their live shows usually ending up in massive brawls, they have always remained a highly regarded force on the underground circuit. albums: "Lunacy", "Warmonger", "Force Recon", "Raped by Mutants", "Pray for War"
Virus is a musical group. albums: "The Bubblebaby Experience", "Ambient Theology", "Analogue", "Odd", "Oddities, Volume One: 1990–1996", "Oddities, Volume Two: 1996–2001"
Virus is a musical group, record producer. Virus a.k.a. Virüs is a musical group. albums: "Sintonia Nuclear", "Manual del perfecto cardiaco"
There are other groups with in their name, like T-Virus, Virus 23, Virus IV, Virus Nine, Final Virus, Sugar Virus, Indigo Virus, Digital Virus, Straddi Virus, Doomsday Virus, Dance Floor Virus, Virus Incorporation, Virus String Quartet. Virus was a French Automobile. Virus a.k.a. Virus Buster Serge, known in Japan simply as Virus, is a Japanese media franchise. It originated as an adventure game for the Sega Saturn. It was adapted into an anime television series which was directed by Masami Ōbari, produced by J.C.Staff and Plum, and aired on AT-X and TV Tokyo from October 2 to December 19, 1997. A light novel and second video game were also created. View more phrases with the word Virus in thesaurus! Like other togaviruses, rubella virus is an enveloped, single-stranded, positive-sense RNA virus. The hepatitis B virus is an enveloped DNA virus that preferentially infects hepatocytes. New grafitti in Leake Street. Trying to recover files and deal with a virus. View more pictures about A Virus. 1. Click on Tasks. 2. Click On Update. Sub-menu will appear. 3. Choose "Start Update". Wait until it Finished. In this video u can learn to create a basic virus file using c language. View more videos about A Virus, The Virus, Giant Virus, Computer virus, and Respiratory Syncytial Virus. Go to the usage examples of Virus to see it in context!